Social Justice Fund is proud to announce that the Gender Justice Giving Project broke a Giving Project record for giving and fundraising: they brought in $223,149 from 355 donors, which added to a $68,500 Satterberg Foundation match for a total of $297,781. Included in that giving and fundraising total is the hard work of 15 people in Portland’s Gender Justice Learning Group. Learning Group participants also gave and fundraised for this project. The work of the Gender Justice Giving Project means that SJF will be able to award 13 grants of at least $19,404 over two years. Read Gender Justice Giving Project member Jasmine Fleenor’s story of her experience with the project. The Gender Justice Giving Project operated under this framework of gender justice, adapted from Western States Center: Gender justice exists when all people – especially women, girls, and gender-variant people – are able to identify and express their gender and sexual orientation without fear, discrimination or harm, and have the economic, social, and political power and resources to make healthy decisions for themselves, their families and their communities in all areas of their lives. It will require transformation at interpersonal, institutional, systemic and cultural levels. LGBTQ justice, reproductive justice and family security are three issue areas at the core of gender justice. Asian Pacific American Network of Oregon (APANO) | Portland, OR The Asian Pacific American Network of Oregon is a statewide, grassroots organization, uniting Asians and Pacific Islanders to achieve social justice. 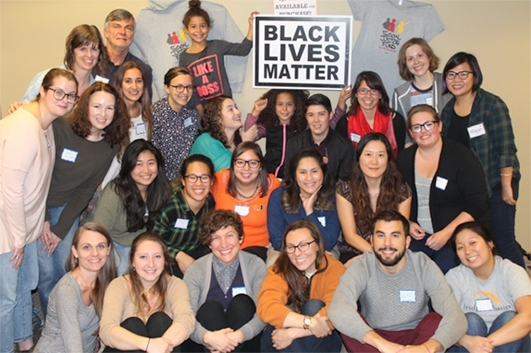 They use their collective strengths to advance equity through empowering, organizing and advocating with their communities. 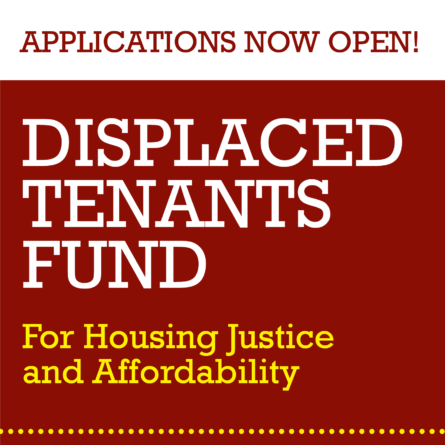 APANO seeks funding to continue building a gender justice and reproductive justice analysis into the grassroots organizing they do with youth, parents, tenants and members across the state. Colectiva Legal del Pueblo | Burien, WA Colectiva Legal del Pueblo uses community organizing and legal services strategies to strengthen undocumented communities to defend themselves from deportation and detention and transform the broken immigration system. Colectiva’s mission is to build the power of Latino and working class communities to achieve dignity and justice through advocacy, education, and legal services. EmpowerMT | Missoula, MT EmpowerMT creates a more just and inclusive society by developing youth and adult leaders who work to end mistreatment, correct systemic inequalities and strengthen communities across Montana. EmpowerMT funding will get LGBTQ youth to their annual advanced leadership training, fund school based anti-oppression training and support the activation of youth voices on policy discussions that most impact their lives. Idaho Community Action Network (ICAN) | Boise, ID The fundamental mission of ICAN is to provide a voice for Idahoans committed to progressive social change and to develop the power necessary to create those changes. ICAN funding will focus issue priorities on the disparities faced by women, particularly in rural communities where limited resources keep them locked in a cycle of financial dependence. Momentum Alliance | Portland, OR Momentum Alliance is a youth-led non-profit, with experienced coaches, whose mission is to inspire youth to realize their power individually and collectively and to mentor future social justice leaders. Momentum Alliance will use their funding for their Reproductive Justice Youth Advocates cohort (RJYA) to intensively engage a diverse group of young people – especially LGBTQIA2S+ youth of color and young woman of color – through a variety of free and paid leadership opportunities. Peace and Justice Action League of Spokane (PJALS) | Spokane, WA The Peace & Justice Action League of Spokane, now celebrating 40 years, engages everyday people to build a just and nonviolent world through community organizing and grassroots leadership development for human rights, economic justice, and peace. PJALS will use their funding for multi-generational, regional movement organizing. PJALS will advance family security by winning criminal justice reform and police accountability, defeating anti-immigrant racism and bigotry, opposing war and militarism, and strengthening long-term organizing for peace, economic justice, and human rights. Portland Jobs with Justice | Portland, OR The mission of Portland Jobs with Justice is to build innovative, powerful, creative, and inspiring campaigns, coalitions and alliances with unions, worker organizations, students, faith institutions and community organizations to win economic justice at the intersection of workers’ rights, racial justice, and gender justice. 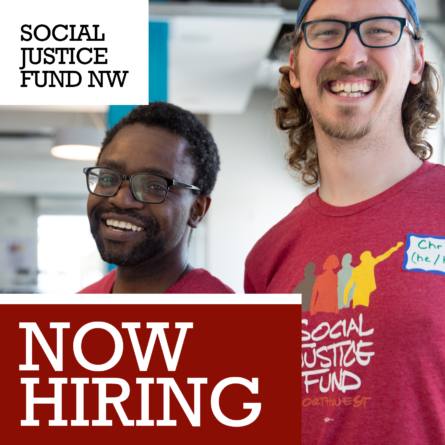 Portland Jobs with Justice requests support for the development of a Portland-based chapter of the World March of Women. Puentes | Seattle, WA Puentes mobilizes mental health resources to help undocumented migrants and their families cope and flourish despite our broken immigration system. Puentes will use their funding to mobilize immigrant victims of gender violence to end re-victimization while participating in immigration proceedings. The aim of this project is to train members to the community to inform and resource victims of violence so that they can maintain their safety and integrity as they interact with government officials and legal staff, and raise national awareness about the intersection of legal and gender violence in the community with a view to affect policy change. Q/TPOC Birthwerq Project | Seattle, WA The Queer & Trans People of Color Birthwerq Project mission is to create access to birth education for trans and queer people of color. The Q/TPOC Birthwerq Project goal is to not only increase the number of trans people of color doulas, particularly trans women of color, but to build and support movement building between reproductive justice and trans justice. The Q/TPOC Birthwerq Project will host a doula training as well as build capacity for trans reproductive justice movement building projects. Sankofa Collective NW | Portland, OR Sankofa Collective Northwest (SCNW) promotes the health and well-being of gay, lesbian, bisexual and transgender persons, their families and friends through: support, to cope with an adverse society; education, to enlighten an ill-informed public; and advocacy, to end discrimination and secure equal human rights. Through their funding, they will increase the number of youth accessing their programming, create more adult programming and increase their presence in the community through strengthened partnerships with other social justice organizations and joint campaign efforts. Seattle Young People’s Project (SYPP) | Seattle, WA Seattle Young People’s Project encourages and supports youth-led projects for social change. SYPP is a 24-year-old grassroots community-based organization creating space for anti-racist youth-led community organizing with an emphasis on youth from historically oppressed communities. 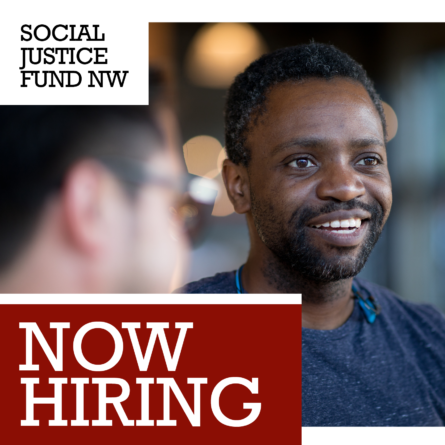 SYPP requests funds for anti-racist community organizing and leadership development around gender justice via their Queer & Trans Pan-African Exchange with young LGBTQ+ Black people; their Young Women’s Conference with trans, gender non-conforming, queer and cis girls of color; and within other SYPP programs. Stonewall Youth | Olympia, WA Stonewall Youth is an organization of youth, activists, and allies that empowers lesbian, gay, bisexual, trans, queer, questioning, intersex, and asexual (LGBTQQIA) youth to speak for themselves, educate their communities, and support each other. Stonewall will increase capacity for leadership development, expand their youth internship program to have stipend positions, develop their Queer Youth Art Program, and develop a series of activities, workshops and events centering youth and QTPOC. Surge | Seattle, WA Surge stands with communities whose bodies, lives, and families have been subject to state and social control. Surge advances racial and reproductive justice through community engagement, education, and policy advocacy. Their funding will support 1) improving access to health care for immigrant communities and people who are pregnant, birthing, and parenting in prisons, 2) advocacy for transgender people in immigrant detention and 3) development of an adoption justice framework that places children, adult adoptees, first families at the center.